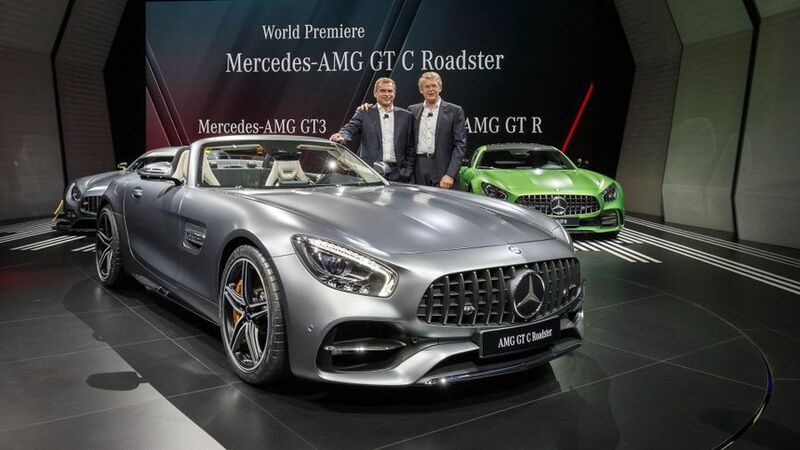 The new Mercedes AMG GT Roadster has made its debut at the 2016 Paris Motor Show. 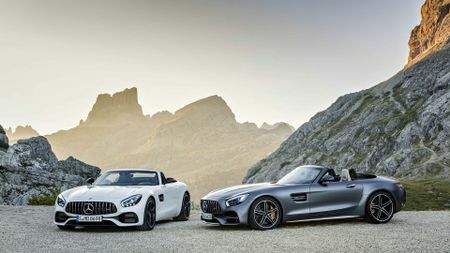 The convertible version of the AMG GT Coupe is available in two variants, the AMG GT Roadster, and the GT C Roadster, which takes the number of models in the AMG GT family up to five. 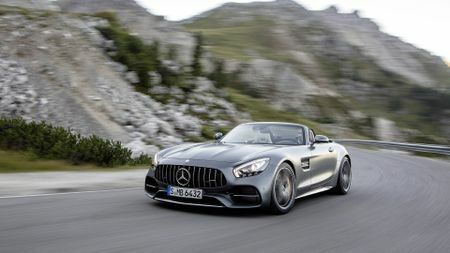 Both models offer more power than the AMG GT Coupe, and have borrowed chassis technology from the GT R. The AMG GT Roadster is fitted with a 4.0-litre twin-turbo V8 which delivers 469bhp, while the GT C develops 549bhp. All the AMG GT models use a seven-speed dual-clutch automatic gearbox. The AMG GT Roadster can manage 0-62mph in 4.0 seconds with a claimed top speed of 188mph, with the GT C covering the 0-62mph stretch in 3.7 seconds, and hitting a claimed top speed of 196mph. Both the GT Roadster and GT C have a three-layer fabric soft-top, which folds electrically in 11 seconds at speeds of up to 31mph. The frame of the roof is supported by aluminium, steel and magnesium, and rollover bars and an aluminium cross-member have been added for additional safety. The roof can be ordered in black, red or beige, to complement the 11 exterior, and ten interior colour options. There are style tweaks to the new Roadster, with a new front grille, revised air intakes and new alloy wheels on both models. The GT C has wider rear arches, active rear steering, adaptive dampers and a switchable performance exhaust. 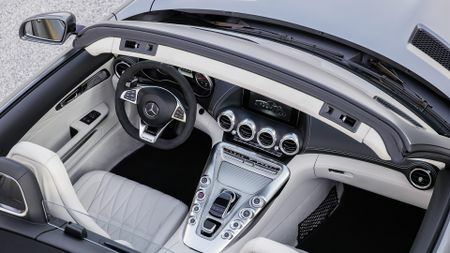 For the interior, customers can upgrade to light-coloured leather seats, or AMG performance seats which include Mercedes’ Airscarf, which blows warm air onto a driver’s or passenger’s neck. The GT C model comes with leather interior as standard, along with the AMG performance steering wheel in leather, and an additional transmission mode. There’s no official announcement on the price for the GT Roadster, but it’s likely to be around the £100,000 for the basic spec, with the GT C adding an extra £20,000 or so. Interested in buying a Mercedes-Benz AMG?